The Ontario Minor Hockey Association is proud to announce the relaunch of the Goalie Assist Program presented by CCM Hockey in an effort to support children who have dreams of becoming a hockey goaltender. Working in conjunction with local minor hockey associations across Ontario, this program will provide sets of new hockey goaltending equipment to loan to 5-7 year old players interested in trying the position. Each set of equipment will be retained by the local minor hockey associations at the conclusion of the hockey season to loan to players in following years to continue the positive cycle of introducing new goalies to the position. The OMHA believes this program helps break down some of the barriers that may exist for new goalies. Being a netminder is a very unique position in hockey and requires specific equipment that may not always be readily available. A player who wants to be a goalie should not be discouraged for any reason and this program helps alleviate some of those worries. 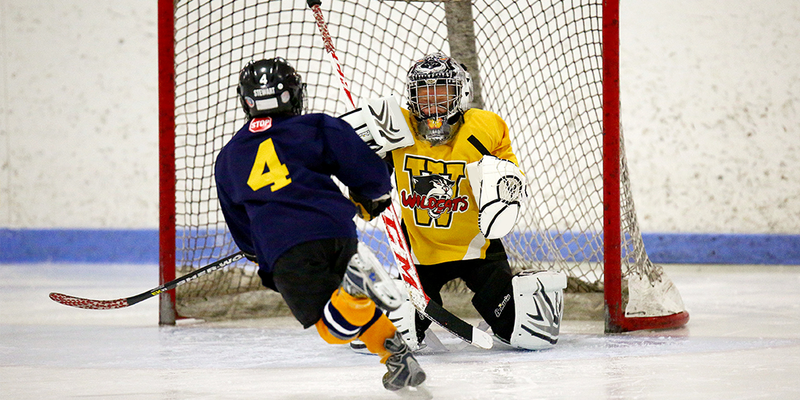 The Goalie Assist Program could be the first time a player is able to become a netminder. This Program is available to all Member Associations of the OMHA. Associations may apply for the kit and describe their current goaltending program in the application. Kits will be awarded based on need. A kit cannot be awarded to an Association who received a kit in the previous two seasons. 40 sets of CCM gear are available with a limit of one set per Association. Each kit is equipped with a set of CCM Youth Pads, Catcher/Blocker, stick, chest protector and bag. Catching hands and sticks will be available with common left/right combinations. Successful Applicants may not receive the left/right combination they requested. Kits are targeted for the Tyke age level.